Center for Global Health Delivery and Equity (GHDE): Quick thought on Rabies !! I am not an expert to provide the details about rabies. One thing I can say is that this is a deadly disease I have so far seen with my own eyes. It is like drowning and suffocating knowing that you are dying!! How awful this could be? So painful death, nobody should go through it. Recently, Dr. Sher Bahadur Pun, a serious academician studying infectious diseases that still plaque Nepalese community, reported a case of Rabies in KTM through promedmail in circulation. As a public health professional who has observed Nepalese public health delivery system a bit closely - this is unfortunate that a child had to lose his life from this fatal disease in 21st century, which is 100% preventable and we have been using anti rabies vaccine since the time of Pasteur. This suggests and questions the very landscape of our public health gaps. 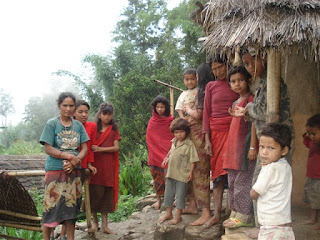 In the mean time, let me add another Rabies outbreak in the year 2014 - there was a report - there was a report of 13 human deaths from RABIES in remote village in JAJARKOT, Nepal (Source; Nepali online news - SETOPATI) . The place where this menace of Rabies took was Majkot village and takes around 2 to 3 whole days to reach from district headquarter - Khalanga. Here the whole day of walk on foot means, you need to walk uphill and downhill from early morning to evening till you reach a safe and comfortable village for night rest. Since I have traveled extensively in this part of the district including others like Humla, Dolpa, Mugu, Dailekh, I can say how tough it must have been for those unfortunate and family members when you have to face your loved ones die from this terrible disease. Even one case of rabies in KTM (recently reported by Dr. Pun) provides us with a picture of the dynamic of this disease in human and animal interface in the valley. While, there were 13 deaths and some of them who were also bitten by dogs were fortunate enough to go to neighboring towns to get vaccinated. Also, there were reports of many cattle deaths in the same village and surrounding locality so this is just a tip of the iceberg. On positive note, we are in great advantage that we need to approach this disease from both end - i will not about the policy aspect here, while at the community level, Nepal has extensive and strong network of female community health volunteers. I strongly believe that the awareness and any preventive measure in the community have to start from them. So it is important now we have to understand and get the very landscape of rabies vaccine availability and awareness gaps and so on.